There was a leadership change at the Pakistan Cricket Board (PCB) on Monday, with Najam Sethi leaving from his chairmanship of the load up and being quickly supplanted with Ehsan Mani by Prime Minister Imran Khan. 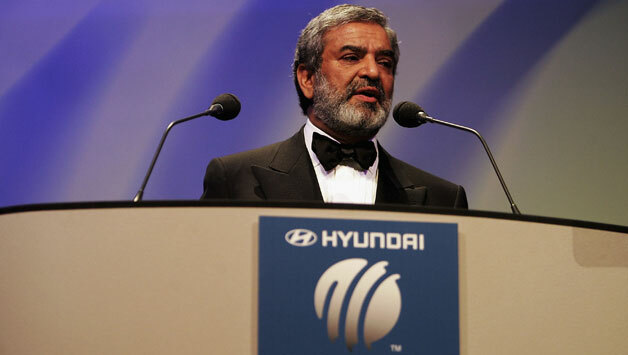 Mani already spoke to the PCB at the International Cricket Council, cricket's overseeing body, as Treasurer for a long time and later headed the body for an additional three years from 2003 to 2006. The content of his abdication reviewed his arrangement to the PCB's Board of Governors by removed head administrator Nawaz Sharif from 2014 to 2017, and afterward again by previous PM Shahid Khaqan Abbasi from 2017 till 2020. He reviewed that PM Khan "said on many occasions that you have a vision for Pakistan cricket." "Therefore, it is only proper that you should assume charge and responsibility for assembling a management team for PCB that enjoys your full confidence and trust," he included. PM Imran Khan had in 2014 blamed Sethi for being 'compensated' with the PCB chairmanship as an end-result of '35 punctures' — a suggestion to the 'settling' of consequences of 35 bodies electorate in the 2013 race for the PML-N.
As per the PTI boss and his supporters, on decision night (May 11, 2013), Najam Sethi hosted called PML-N gathering boss (and afterward PM) Nawaz Sharif and guaranteed him that "35 punctures" had been settled. The tip-off about the telephone discussion, as per Naeemul Haq, head of staff to the PTI executive and the principal individual to tweet about it, had originated from a represetative of a 'key western power'.